There’s just something about knowing someone as a child. Childhood friendships that last into adulthood are a special kind of bond. My favorite stories are the ones where I get glimpses into the childhoods of adult characters. For me, it instantly connects me with the character and gives them context and makes them real people, which in turn make them memorable. A Distant Heart explores my love for the childhood bond. 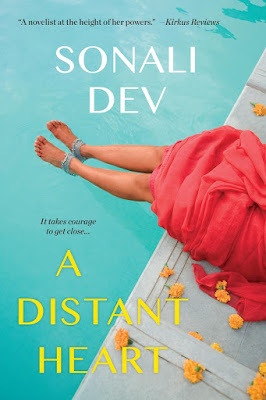 The book is set in two timelines, where we get to grow up with Kimi and Rahul in the past while also facing their considerable challenges in the present. Kimi, at the age of eleven is confined to a sterile room in her mansion in Mumbai for twelve years because of a rare illness, and Rahul is a servant in her house because he needs to pay off a debt to her father. He ends up befriending her and becoming her eyes to the outside world for twelve years until a heart transplant sets her free. To me Rahul and Kimi have a connection that feels essential to who they are, because it’s a connection that has developed during the harshest time in their lives. But the only reason they get a chance to make that connection in the first place, and get exposed to each other as who they are on the inside despite all the socially constructed distance that separates them, is that they were children when they first met. When we’re children the barriers between us as people aren’t solidified. It’s a more vulnerable time, a time when we haven’t yet stopped looking at each other because we can’t look past who we’re supposed to be. It’s a braver time. It’s because they meet as children that a connection so deep happens between Rahul and Kimi. And its a really good thing that their connection is that deep and strong because it’s going to be tested hard once they grow up. No matter how much they learn to cover up and protect themselves from hurt and fear of loss, what gets them through the conditions that test them is their connection and vulnerability not the armor they’ve tried to develop as adults. Another thing about Rahul and Kimi’s story that I love is that they both have to deal with having no control over their circumstances but the way each of them deals with this is entirely different. From a very young age, Rahul has agency in ways that Kimi doesn’t. This is a two sided coin. His having agency comes with weighty responsibilities. The way he deals with the weight he carries is through self-denial, because he believes he can only deal with pain by avoiding it entirely. He believes that he doesn’t have the luxury to indulge in things that will cause pain, so he makes them unavailable to himself. Love is one of those things. Through all of this Kimi sees the person he is on the inside, she sees past his experiences and past all the adult weight he has to carry as a child and it helps him find his own lost childhood. And it’s all the more powerful because she’s carrying the weight of unusual responsibilities and restrictions as well. They’re aware of the work the other has to do, but they aren’t focused on that like everyone else around them. The first time he sees her he says it was like “unexpectedly spotting your reflection while passing a window.” I think that sums up their relationship perfectly and it’s what I think every relationship is trying to achieve. of Best Books of the year. She won the American Library Association’s award for best romance 2014, and is a RITA® finalist, RT Reviewer Choice Award Nominee, and winner of the RT Seal of Excellence. She was hailed by NPR.org as a ‘stunning debut’. 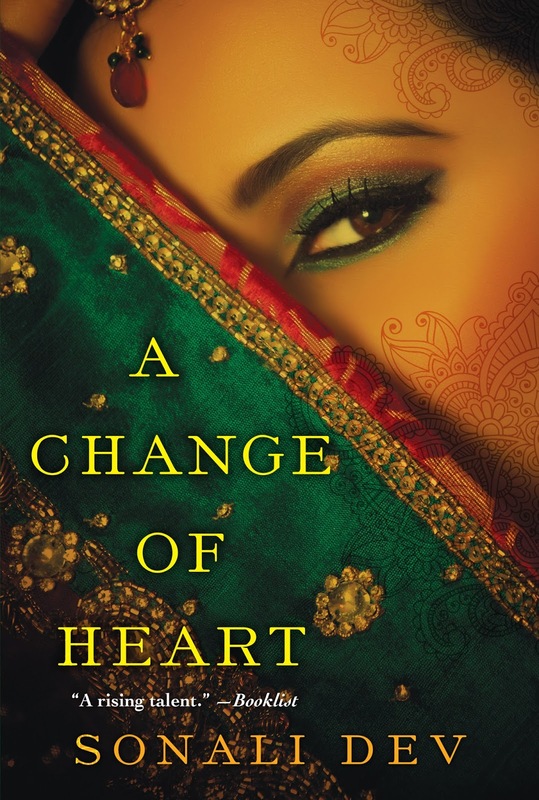 Sonali will be giving away an ebook copy of A CHANGE OF HEART to one lucky reader leaving a comment or email entry. Giveaway ends 11:59pm EST Jan 10th. Please supply your email in the post. You may use spaces or full text for security. (ex. jsmith at gmail dot com) If you do not wish to supply your email, or have trouble posting, please email maureen@JustContemporaryRomance.com with a subject title of JCR GIVEAWAY to be entered in the current giveaway. I am intrigued by the story line. I would be interested in reading this book. reading A Distant Heart right now actually and really intrigued by it so far!